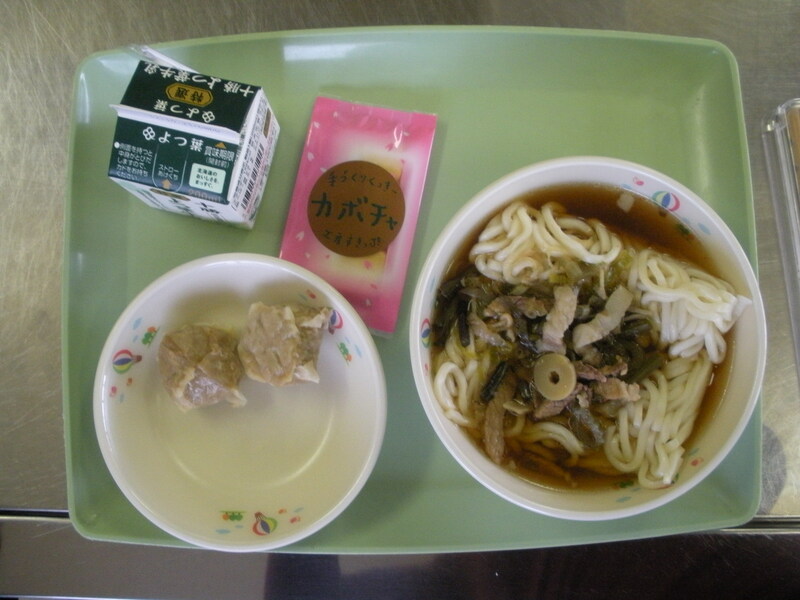 This week is “furusato kyuushoku” or local school lunch. What this means is that the ingredients mainly come from the local area, rather than being brought in from who knows where. For example, today’s soup was made with pumpkins that were grown by the students I taught today in the field behind the school. From what I understand, back in the day school lunch used always be made with very local ingredients, but an increasingly integrated world has made this no longer cost effective. Of course, back in the day, students also had to bring their own coal to school to power the furnace…. Anyway, Jukai’s kabocha program is pretty awesome. Every year, the students have classes where they plant, grow, and then harvest the kabocha themselves. And it is a lot of kabocha: not just a token couple for each student, but a serious agricultural enterprise They then sell them at a local produce stand or other places. One year they made up kabocha dumplings, decided the size and price, and sold them at Furano Marche. 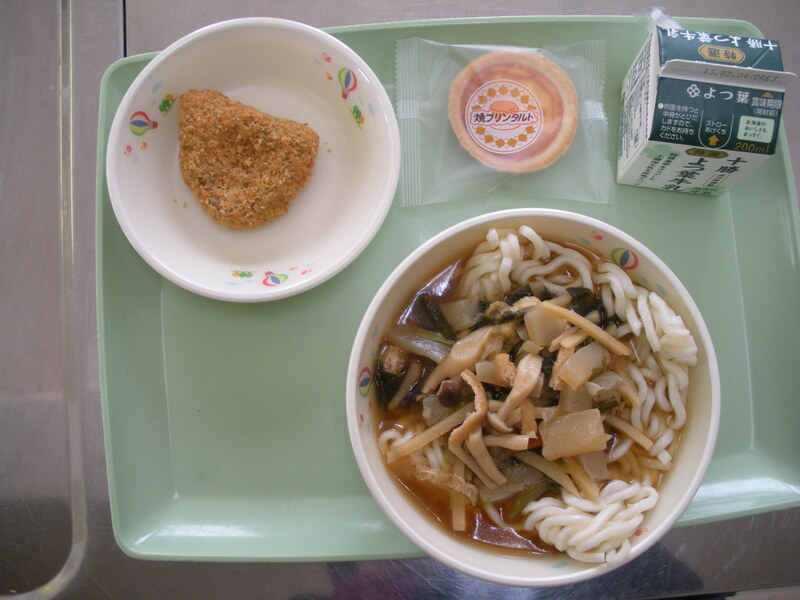 I think it is a really good program, especially for a rural school, since it not only gives them an awareness of how the food they eat everyday gets to them, but also gives them useful experience and skills. I hate to say it, but learning to grow and market kabocha is probably going to be more useful to my students than English will be when they are adults. 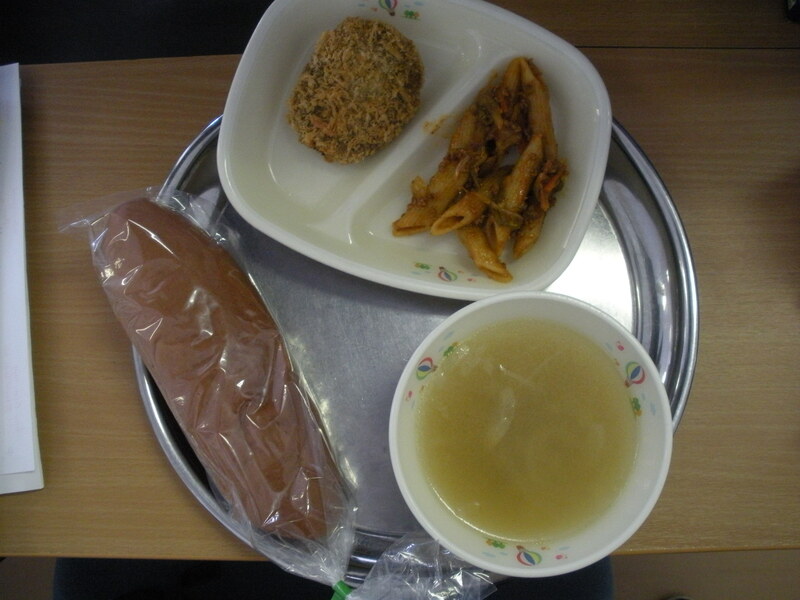 But back to school lunch. 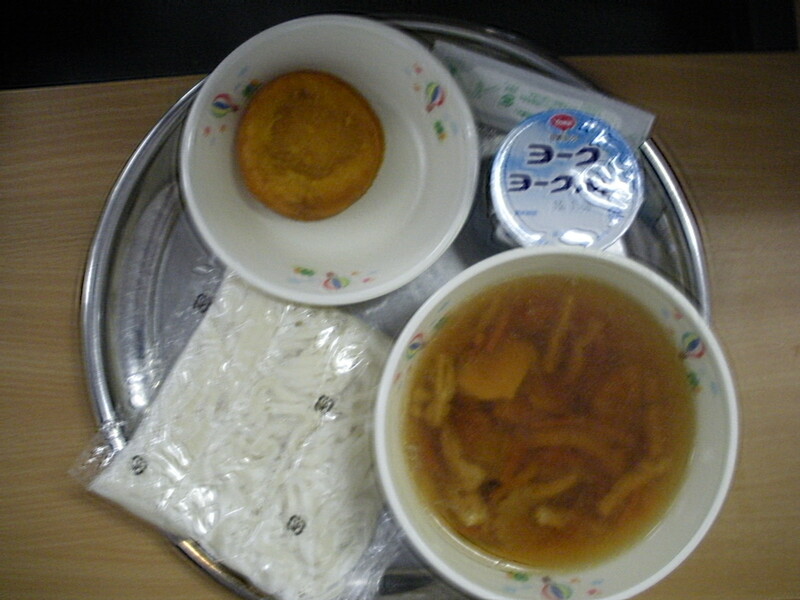 Of course, I enjoyed the kabocha soup. There were a few students for whom I think the taste was a little strong, but over all the students ate it. 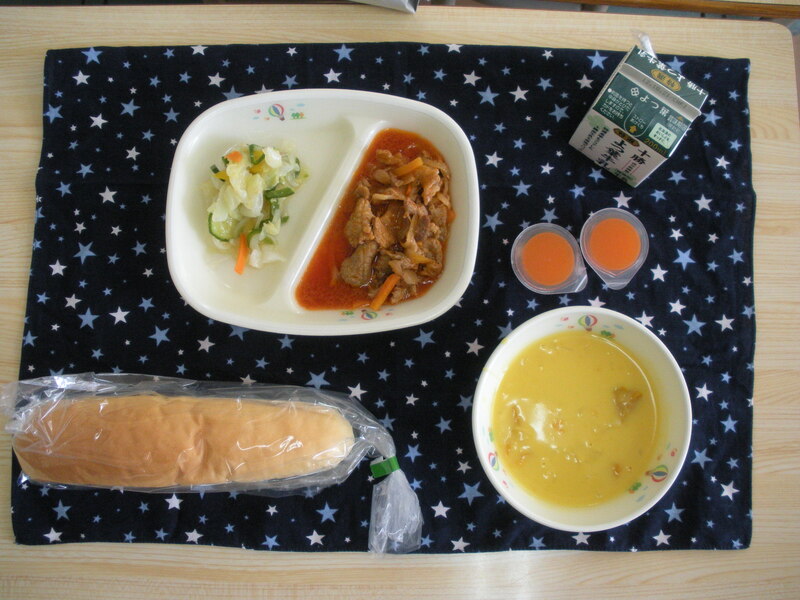 Today’s dish was pork in a oil and tomato based similar to Japanese style spaghetti. I am sad today, I am a fan of neither pork nor that spaghetti sauce, so it wasn’t my favourite. I liked the salad. Rather than being the crunchy lettuce based salad that most foreigners think of, it was more similar to veggies pickled in vinegar. Since I like vinegar and pickles, this was a good thing. Speaking of salad, I read in a book once that before WWII, Japanese did not really eat vegetables raw, as the west often does. 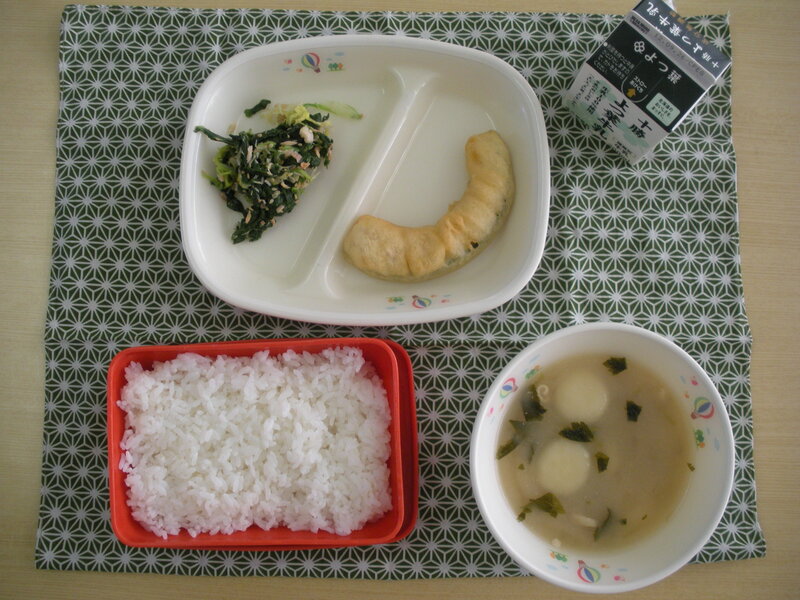 Instead vegetables were usually eaten dressed, pickled, or has hitashi: very quickly boiled.